Multiple substrates stencil printing application with precisely fiducial mark alignment, auto print with motor squeegee, auto clean for stencil and strips auto load/unload. The system provide robust printing quality and high throughput. A full-auto load/unload contact angle measuring system. To provide auto droplet control, auto dispensing and contact angle auto measuring. The droplet dispensing position is also programmable. 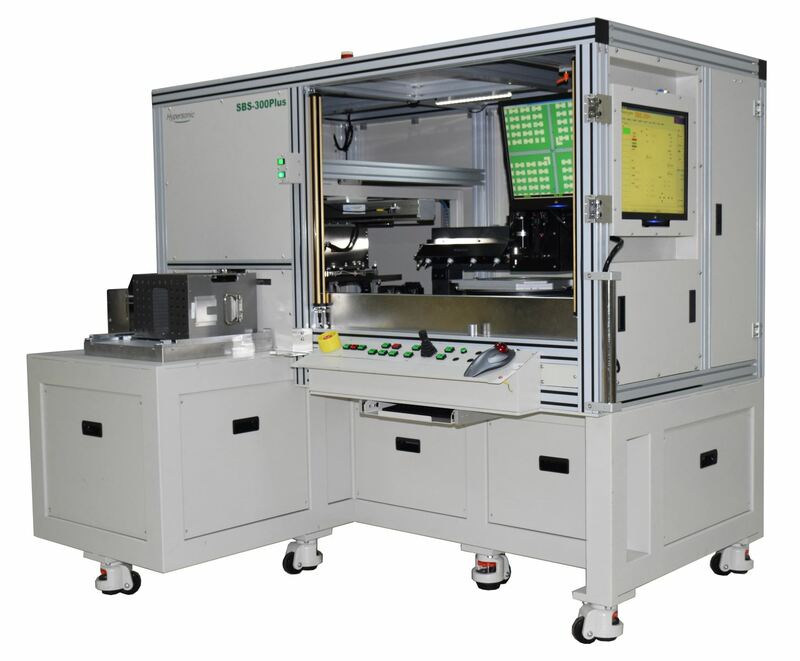 For the option, HPC provide semi-auto and manual system for contact angle measuring. 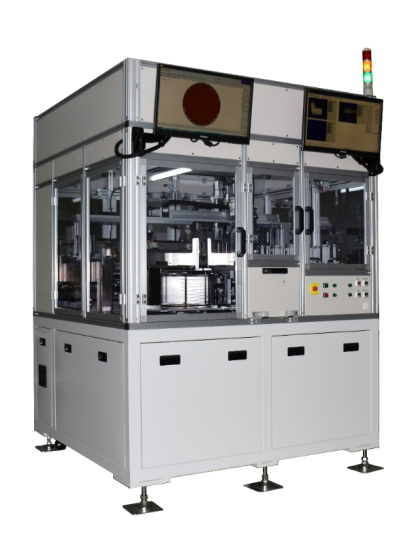 To provide an simple and manual inspection environment for Die-bonding & wire-bonding products , the system provide convenient functions for hand-free, easy operation, easy change kit and web-service. Also to avoid the products be damaged and improve the inspection method and speed. 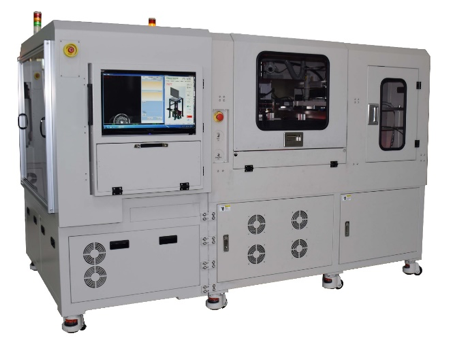 To measure the paste thickness / die thickness / wafer thickness with a integration of precisely laser sensor, linear motor XY table, granite stage. It provide an easy and fast function for the measurement application. To measure the fillet height thickness and calculate the percentage with microscope and million pixel CCD . It could improve current measure way and speed for calculation. 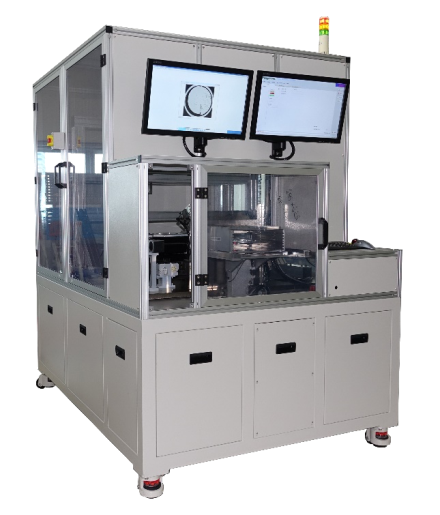 When loading wafer to inspection platform automatically, SBS-300+ can take sequence photos of wafer sawing street for eye inspection. 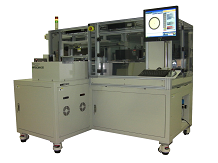 This automatic wafer handling function can make it a lot easier to do the eye inspection. 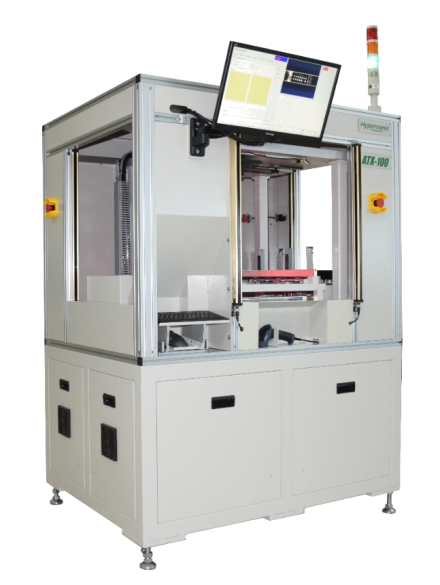 WFSCAN-20 is a fully automatic wafer thickness measuring machine which contains automatic wafer load/unload function and wafer thickness measuring system. WFSCAN-20 equipt with a high precision laser head, a linear motor and a granite platform for the excellent performance. Paste shape and position inspection to make sure printing quality. In-line and Stand along type are both available. 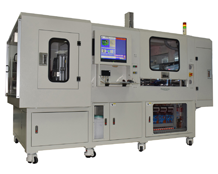 A speedy driver IC sorter equipped with 6 waffle-tray bins, and optional back-side inspection function. To scan skeleton die images and analysis / compare to original map file , the process is after die-bond. To re-fill IC to the unfilled tray after trim/form process. Action series gravity handler provide a simple/robust & efficiency/economy handling system for SOP family package in testing. A small footprint machine with short plunger or long plunger option, multi-test site, low jam rate /High UPH and flexible operation interface. Action series provide own socket (Kelvin & non-kelvin) , but also compatible for 3rd party socket. A device designed for the detection of LCD TV modules and related fields. Automatically detects the output signal of LVDS (V-By-One / Mini-LVDS) chip and audio, Replace the traditional artificial visually determine and reduce false positives, reduce personnel costs. To follow the new rule of USGA and R&A, the scanner provide an excellent club head groove profile measurement function , it is non-contact measuring with precisely laser sensor which could provide groove width, groove depth, groove pitch(space) and radius measurement.